At the global market place, our company is well recognized as one of the profound manufacturers of Hammer Mills, considered as the most durable utility grinders. These types of mills are specially engineered in order to grind free-flowing materials with smooth fineness. In a Hammer mill, the basic principle of working is that most materials will grind or crush upon impact with the hammers. We have implemented the latest technology in this mill so that it can be used for fine crushing of soft & medium hard materials, non-abrasive and nonadhesive materials, such as bituminous coal, limestone etc. Our assortment is supplied to cement factories and in lime works for the preliminary crushing of bituminous coal. 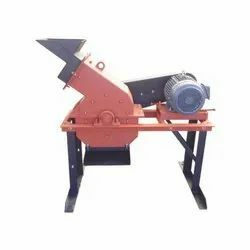 The main advantage of our manufactured hammer mill over other ordinary mill is that it ensures a high degree of crushing and excellent performance. We have engineered the entire mill in such a manner that it provides an easy access to the internal compartment of the machine and thus offers simplicity in operations. This type of mill is basically used for coarse grinding of materials. Looking for Hammer Mill ?